We believe that all the babies and young children at Robert Blair Children’s Centre deserve the highest quality care and education. We value diversity and offer a warm welcome to all young children and their Mums, Dads and Carers. 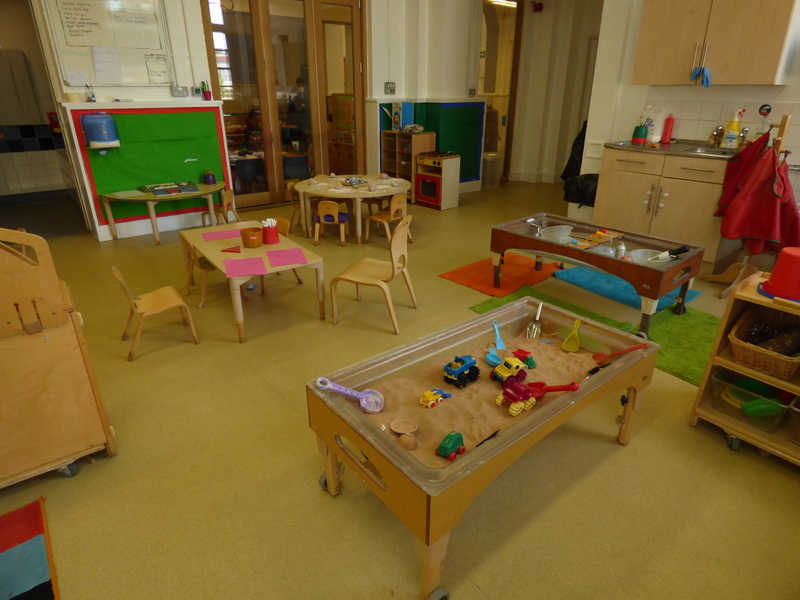 A rich learning environment with lots of access to the high quality play experiences and the outdoors and natural environment. A sensitive, well qualified, well trained and supported staff team. Most of our team have a qualification in paediatric first aid and a level 2 or 3 qualification in Early Childcare. The Deputy Head teacher has qualified teacher status and an MA in Early Childhood Education. An established ‘Key Person’ approach to ensure children are emotionally supported and their care and education is as individualised as possible. An immediately accessible, purpose built garden with areas dedicated to the needs and interests of babies and toddlers. A commitment to working in partnership with families and offering access to specialised support for issues that arise in early childhood such as how best to manage your child’s sleep, diet, learning needs and behaviour. We are reflective practitioners always looking for ways to improve our service, taking into account, the views and needs of the families we work with. Please don’t hesitate to get in touch with questions or queries and come along to our ‘show rounds’ every Tuesday in term time at 10am. Following our inspection in October 2014, we were rated Good. You can consult the OFSTED report by clicking here.